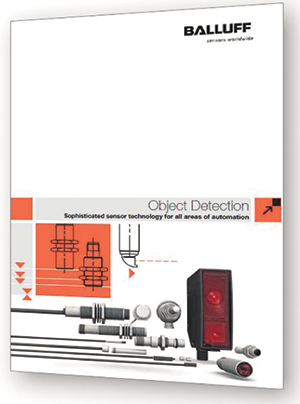 Balluff, Florence, KY, has released its new full-line object-detection sensor catalog, featuring more than 1000 pages and several new products. Included is the firm’s complete sensor line, comprising photoelectric, inductive, capacitive and magnetic cylinder sensors, along with accessories and mating cables. For each part number, Balluff offers a technical drawing and photo. It also includes sensor selection guides in each section. The catalog is available in printed and electronic formats.